The organisation is not a Public authority - eg. a Cooperative Society, or a Private corporate or Institution, not substantially financed or controlled by the Government. ‘Why have I not got a ration card?’ is not asking for information; but ‘I want the progress of my file relating to my application for a ration card’ is asking information. ‘Why have I not got admission?’ is not asking for information, whereas ‘I want the cut-off marks at which admission was granted’ is asking for information. However, abiding by the spirit of Section 5(3), the PIO should help to reframe such queries. The information asked for falls in the exemptions of Section 8(1) or under Section 9 applies. Section 9 bars giving information which would violate private party copyright. Providing extracts from the records is required to be done as per Section 2(j)(ii) unless it would require too much time. If giving the information would require too much of the resource of the Public authority, it cannot refuse to give the information. If the form in which the applicant has asked for information would require too much time of the Public authority, it may offer it in another format. A common practice adopted by PIOs when the information gathering or collating in a particular format would require excessive time is to offer inspection of files to the applicant. Section 7(9) cannot be a ground for denial of information, which is available on records. Denial can only be justified on the basis of Sections 8 and 9 of the Act. The only exception to this is if giving any information would violate the provisions of the Constitution, in which case, the request for information, can be denied. 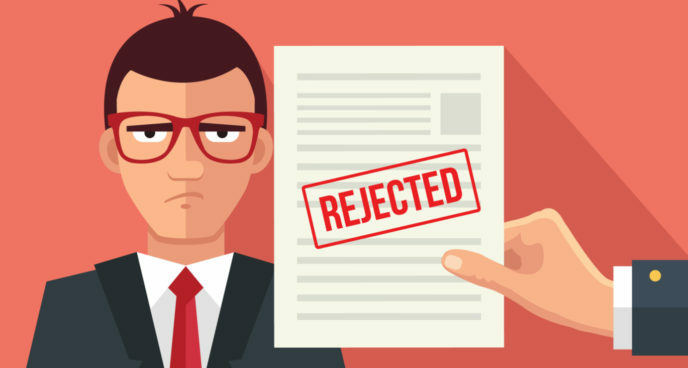 There may be certain rare instances in which providing information sought by an applicant could bring a work by the public authorities to a halt. In such a case, Section 7(9) may be used to deny information. For example, if someone sought information that is spread over fifty offices which is not available in a collated form, a PIO could say that even providing an inspection may disproportionately divert the resources of the public authority. On the other hand, if collation of the information can be done in a couple of hours, the PIO should do this. However, it would be wrong to refuse to provide a collation or extracts from what is already in records. Section 7(9) should only be invoked when collation or extracting information is going to take too much time. In such an event, the PIO could offer photocopies of the complete records or allow an inspection. The choice should rest with the applicant. The PIO must explain how the disclosure of information is likely to ‘prejudicially affect the sovereignty and integrity of India, or the security, strategic, scientific or economic interests of the State, relation with foreign State or lead to incitement of an offence’. If no specific reasoning is given to justify denial, the information must be provided. It must be observed that the law does not exempt files or information labelled ‘confidential’ as exempt. Classification as ‘confidential’ is an internal procedure and cannot be used to deny information, since the RTI Act has exempted thisthis category. The exemption will only apply when any matter has been specifically and expressly forbidden to be made public by a court or tribunal. Even if an issue is subjudice, the information has to be provided. This exemption will only apply if a specific order of the Court or tribunal says the particular information has been prohibited from disclosure. Such a disclosure would be contempt of court and hence barred. ©	information, the disclosure of which would cause a breach of privilege of Parliament or the State Legislature; This will primarily apply where there is a legal stipulation to present some information like a report to Parliament or the Legislature. This provision will also apply when a specific order has been given by the Legislature to avoid disclosing some information in public domain or to prohibit some proceedings of the Parliament or Legislature from being made public. There is a common practice of governments appointing Commissions of Inquiry and often not making the reports public. Since the report has not been placed before Parliament can it be given in response to an RTI application? If it has not been placed within six months before the Parliament, or State Legislature, the breach of privilege has already occurred since the government has not abided by the provision of the Commissions of Inquiry Act. It cannot then be claimed that giving the report to the applicant will cause a breach of privilege since it has already been breached by the holder of the report. Another important point which must be noted is that if some information is denied to Legislature, this exemption does not say it should not be given to a citizen. There is an additional view at this juncture. To qualify for this exemption, it must be established that it is ‘commercial confidence, trade secret or intellectual property’. Most importantly, it must be shown that the disclosure would ‘harm the competitive position of a third party’. This would mean if particular information is given by the ‘third party’ which can be identified as a trade secret or commercial confidence and its disclosure would harm its competitive position, then such information could be denied to the applicant. This section does not envisage denial of information such as tender bids, specifications or guarantees are given by bidders to the public authorities. The PIO must examine and ensure whether information denied qualifies this test of damage to third party likely to be caused by disclosure. As an example, if a Company is negotiating with some other customers for some orders and discloses this to the Public authority, it may be claimed that it is information given in commercial confidence and disclosing this information could damage its competitive position. Similarly, if a formula/ formulation is disclosed by a company, its disclosure could be exempted since disclosure could harm its competitive position. If there is no possibility of competition, the exemption cannot be claimed under this clause. (4) when there is a specific relationship that has traditionally been recognized as involving fiduciary duties, as with a lawyer and a client, or a stockbroker and a customer.”34 The traditional definition of a fiduciary is a person who occupies a position of trust in relation to someone else, therefore requiring him to act for the latter's benefit within the scope of that relationship. In business or law, it generally means someone who has specific duties, such as those that attend a particular profession or role, e.g. doctor, lawyer, banker, financial analyst or trustee. Another characteristic of such a relationship is that the information is given by the holder of information out of choice. When a litigant goes to a particular lawyer, a customer chooses a particular bank, or a patient goes to a particular doctor he has a choice whether he wishes to give the information. An equally important characteristic for the relationship to qualify as a fiduciary relationship is that the provider of information gives the information for using it for his benefit. It is true that such a relationship is based on trust. A person will not choose a doctor, lawyer, banker or trustee unless there is trust. All relationships usually have an element of trust, but all of them cannot be classified as fiduciary. Information provided in a discharge of a statutory requirement, or to obtain a job, or to get a license or passport, cannot be considered to have been given in a fiduciary relationship. In such a situation, it cannot be claimed that the information has been given in a fiduciary relationship. Another aspect to be taken into account is that information provided by the beneficiary to a fiduciary is held in trust and cannot be shared with anyone, but the reverse is not true. A doctor is not free to discuss a patient’s information without the patient ’s consent, but there is no such binding on the patient sharing the doctor’s advice or medication. It is likely that this provision could be used to refuse most information provided by a foreign Government unless it has been released in the Public domain. Effectively, this means that most information received from a foreign government is unlikely to be given. This is the only provision where the mere claim of information having been received in confidence has been given exemption in this law. The danger to life or physical safety must be a reasonable probability, not a mere imagination. This clause would be invoked when somebody has given information about a wrongdoing or acted as a whistleblower, and disclosure of his identity would endanger him. However, it should entail a situation where some threat to the source must be a reasonable probability. This cannot be used to deny information about examiners, names of selectors or interviewers, or remarks by superior officers against their juniors. This would be the result of a hyperactive apprehension rather than a real threat. There is an additional view at this juncture. The investigation is not complete, and it can be shown that releasing the information could impede the process of investigation. This provision does not say that when an investigation is ongoing, information regarding it should not be provided. Hence, the PIO must consider whether there is a reasonable probability of the investigation being impeded if the information is provided. Similarly, when an investigation report is already submitted, it cannot be claimed that the process of investigation will be impeded. After this, only if there is any probability of somebody being apprehended or prosecuted, then it has to be established that the apprehension or prosecution will be impeded. If it is shown and established that releasing the information will result in a situation which will impede apprehending the charged persons. Though the investigation and apprehension of offenders may be over, releasing the information would impede the process of prosecuting the offenders. If an investigation is over and no offender is likely to be apprehended or prosecuted, the information cannot be withheld.36 Also, the mere fact that release of some information from the records may lead to a weakening of the prosecution case cannot be advanced as a reason to deny information, since this would imply that the truth on records is not being revealed. This provision is often misunderstood as being a complete bar on providing information under Right to Information about cabinet papers and the cabinet deliberations. Once a decision is taken and the matter is complete or over, it places an obligation on the government to make public the material on the basis of which the decision has been taken. This means that the government must make the basis of taking the decisions public on its own. For example, once a bill is presented in Parliament or Legislature, the matter relating to the purpose of the deliberations and cabinet related file notings is clearly complete and over. © publish all relevant facts while formulating important policies or announcing the decisions which affect public; (d)	provide reasons for its administrative or quasi-judicial decisions to affected persons. It ensures that the advice given to the cabinet and its deliberations would not be revealed when it is being discussed. However, once the decision to make a law or policy has been taken, the reasons and records should be put before the public. This is the true empowerment of citizens and an attempt to bring in a participatory democracy and accountability. It is worth noting that this is the only provision in Section 8 (1), which while exempting disclosure of certain information, puts the responsibility on the government to put it in public once the decision is taken. There is an additional comment at this juncture. (j) information which relates to personal information the disclosure of which has no relationship to any public activity or interest, or which would cause unwarranted invasion of the privacy of the individual unless the Central Public Information Officer or the State Public Information Officer or the appellate authority, as the case may be, is satisfied that the larger public interest justifies the disclosure of such information: Provided that the information, which cannot be denied to the Parliament or a State Legislature shall not be denied to any person. b)	Where the information requested is personal information, and the disclosure of the said information would cause unwarranted invasion of the privacy of the individual. If the information is personal information, it must be seen whether the information came to the public authority as a consequence of a public activity. Generally, most of the information in public records arises from a public activity. Applying for a job, ration card or passport are examples of public activity. However, there may be some personal information which may be with public authorities which is not a consequence of a public activity, eg. Medical records, or transactions with a public sector bank. Similarly, a public authority may come into possession of some information during a raid or seizure which may have no relationship to any public activity. Even if the information has arisen by a public activity, it could still be exempt if disclosing it would be an unwarranted invasion on the privacy of an individual. (1)	(a) in the interest of ‘decency or morality’. There is an additional view at this juncture.38 If, however, it is felt that the information is not the result of any public activity, or disclosing it would be an unwarranted invasion on the privacy of an individual, before denying information it must be subjected to the acid test of the proviso: Provided that the information, which cannot be denied to the Parliament or a State Legislature shall not be denied to any person. The proviso is meant as a test which must be applied before denying information claiming exemption under Section 8 (1) (j). Public servants have been used to answering questions raised in Parliament and the Legislature. It is difficult for them to develop the attitude of answering demands for information from citizens. Hence, when they have a doubt, it is worthwhile for them to first consider if they would give this information to the elected representatives. They must first come to the subjective conclusion that they would not provide the information to MPs and MLAs, and record it when denying information to citizens. There is an additional view at this juncture Another perspective is that information is to be denied to citizens based on the presumption that disclosure would cause harm to some interest of an individual. If, however, the information can be given to legislature it means the likely harm is not very high since what is given to legislature will be in public domain. Hence, it is necessary that when information is denied based on the provision of Section 8 (1) (j), the person denying the information must give his subjective assessment that such information would be denied to Parliament or State legislature if sought. This must be recorded in the decision. (e) banking credit and financial data (f) narco-analysis or polygraph test data, (g) sexual orientation.” This is in line with Article 19 (2) of the Constitution. Section 9 Without prejudice to the provisions of section 8, a Central Public Information Officer or a State Public Information Officer, as the case may be, may reject a request for information where such a request for providing access would involve an infringement of copyright subsisting in a person other than the State. If an applicant asks copies of a book in a library, or a work of art, or a film, whose copyright vests with somebody, then it would not be given. However, by implication, if the copyright belongs to the State, it would have to be given under Right to Information. To obviate the problem of citizens asking for copies of priced publications of the State, some State rules have stated that for priced publications, the fee to be paid will be the sale price of the publication. However, no information can be denied on the ground that the copyright vests with the State. Created by shrawan on 2018/06/04 14:01.